SANTA CLARA — The family of LDS missionary Joseph Empey, who was injured in the bombing at the Brussels airport Tuesday, has responded to questions regarding his condition. 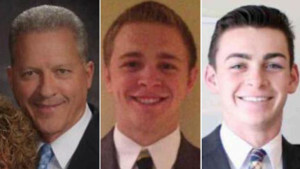 Elder Joseph Empey, 20, of Santa Clara; Elder Richard Norby, 66, of Lehi; and Elder Mason Wells, 19, of Sandy, were serving as missionaries for The Church of Jesus Christ of Latter-day Saints in the Paris, France, mission when the terrorist attack occurred. 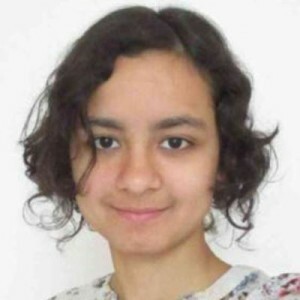 The three missionaries were traveling with a fourth missionary, Sister Fanny Rachel Clain, 20, of Montélimar, France, who was being escorted to the airport en route to serve a mission assignment in Ohio, the Associated Press reported. An updated release to the Mormon church’s website, mormonnewsroom.org said Clain also suffered minor injuries during the attack and has been hospitalized. The Church has learned that the fourth missionary, Sister Fanny Rachel Clain, has also been hospitalized with minor injuries. As reported previously, she was with the three other missionaries who were injured, but had left them and passed through airport security when the explosion occurred. The Church will provide more information as we are able. Gov. Gary Herbert and Sen. Mike Lee also issued statements in response to the attack. “It is not uncommon for innocent victims to be targeted in these terrorist attacks, but seldom do we see people of faith who have forsaken everything — family, friends, school and careers — in order to share a message of hope and love with the world also fall victim,” a portion of Herbert’s statement said. My heart goes out to all those who were killed and injured in this morning’s horrific terrorist attacks in Brussels. An attack like this is an attack on all of western civilization, a truth highlighted by the fact that three missionaries from The Church of Jesus Christ of Latter-day Saints were injured in the blasts. My prayers are with the victims, their families, and everyone touched by this tragedy. I hope this kid recovers quickly and fully.